Who'd have thought someone from the 'developing world' could be a billionaire? And not just any billionaire, Carlos Slim Helu out-billionaired Bill Gates back in 2006. Then he was the richest billionaire at times during 2007 before settling into third place after Warren Buffett in 2009. Job: Telecommunications monopolist (no really! He owns more than 90% of the industry in Mexico, as well as some networks in other parts of Latin America). We vouch for the fact that Mexico is one of the most expensive countries to call from outside of Mexico. And inside Mexico? My partner's family in Veracruz don't have a phone-line because it is so costly. Every time we make a call from New Zealand to Mexico we joke about lining Slim's pockets. Charity: He doesn't support charity as generously as Bill Gates, nor Warren Buffet. Slim owns much of the historical center of Mexico City. This is seen as 'giving back' to his community. 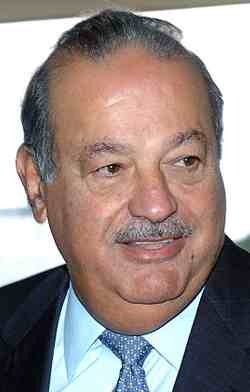 Want to push Carlos Slim back up to 2nd or to richest in the world on the Forbes List? Buy a few i-pods and call your Mexican pals for hours.